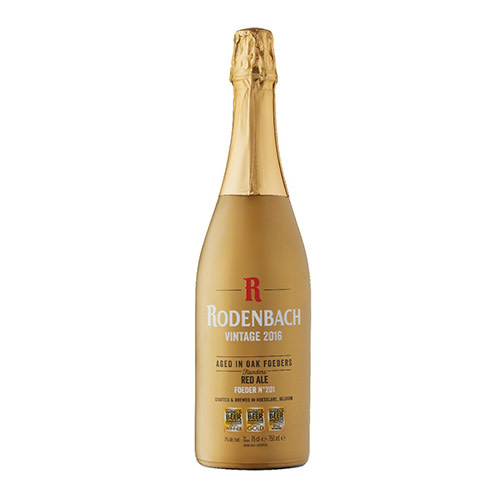 There’s beer that goes well with food, then there’s Rodenbach’s vintage ales. The 2015 vintage is an unblended Flemish Red that sits for two years in a single oak foeder before bottling. The result is a beer for marking a momentous occasion, designed to sit on the dinner table with the finest wines. Vintage 2015 tastes like a three way battle of flavors between sour, sweet, and oak characteristics. There’s a dark cherry and apple tartness that’s leveled out by light honey. The oak influence shows with notes of vanilla and caramel. A lengthy finish stays with you like a wine without the tannins. Drink it on its own with friends or alongside some cheese or charcuterie. The main thing is to find it and drink it.